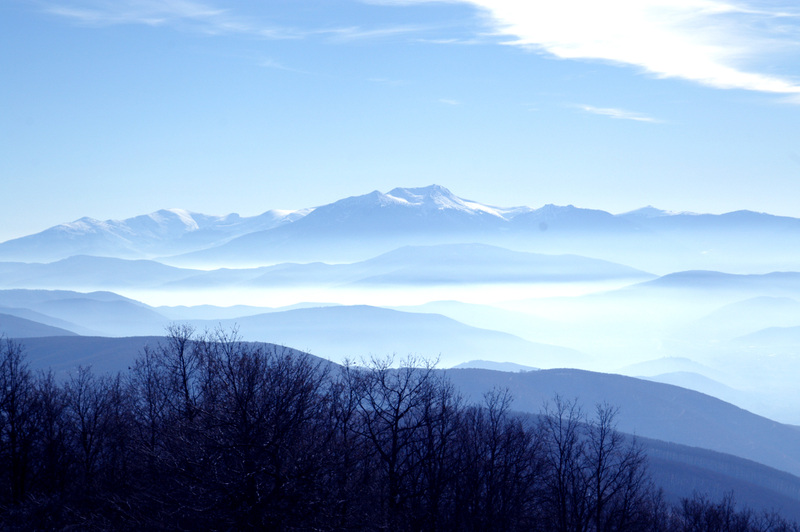 The Buševa (Busheva) Mountains are located in western Macedonia at Kruševo (Krushevo). Kruševo is on the slopes of Busheva’s highest peak, Musica (Мусица) at 1788 meters (5,866 feet) giving Krushevo the honor of being the ‘highest’ town in Macedonia. This area was the site for the Ilinden Uprising against the Ottoman Empire in 1903. The picture below from the monument, Mechkin Kamen (Мечкин Камен), built in honor of Pitu Guli who led a small contingent at this site to hold of the Turkish army that was advancing towards Kruševo. Mount Buševa is a popular year round destination for skiing, mountain biking, and parasailing.